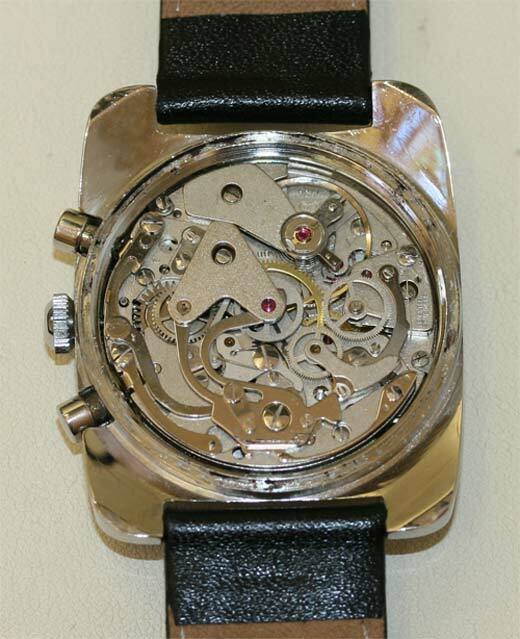 Product code: 335 Categories: Sold Items, Sold Watches. 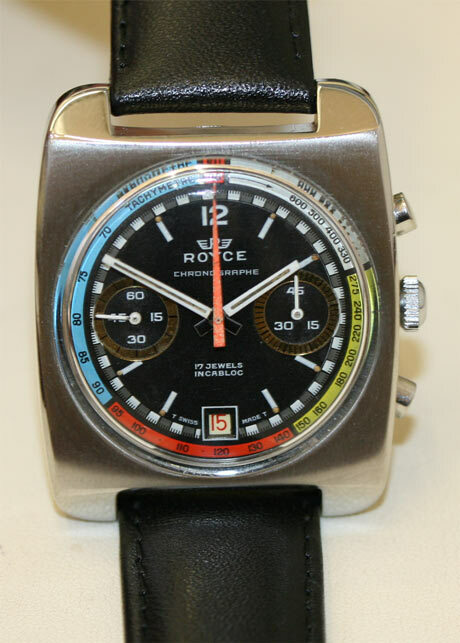 Made by Royce in the 1970’s, this watch is powered by a manual wind 17 jewelled manual wind Valjoux 7734 chronograph movement which has been fully serviced and runs perfectly. The dial is its drawcard – a multi-coloured telemetre scale for racing, this is one of the nicest vintage chronographs that we have seen. This is the kind of watch that will draw attention and conversation whenever it is worn.